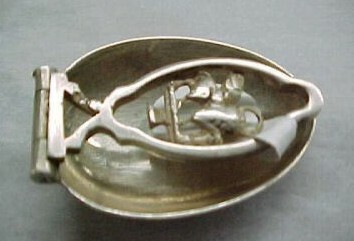 this is a silver folding spoon with a winged lion on the handle. 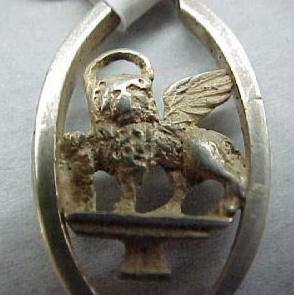 The winged lion with aureole and Gospel book is the crest of the ancient Republic of Venice (Italy). 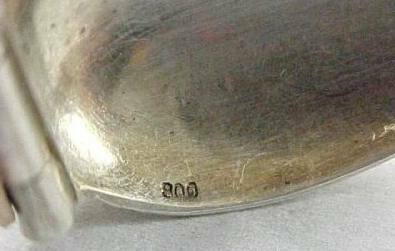 The spoon is marked 800 ((800/1000 purity degree) and was made in Italy in the first half of 20th century. 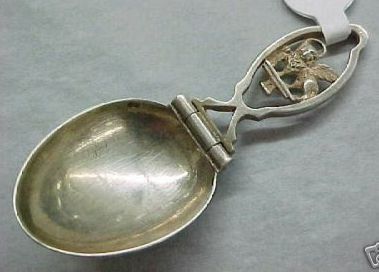 The caddy spoon is 3 1/4 ins. long (cm. 8) and was bought by a US dealer through the Internet.